How to use the pencil. 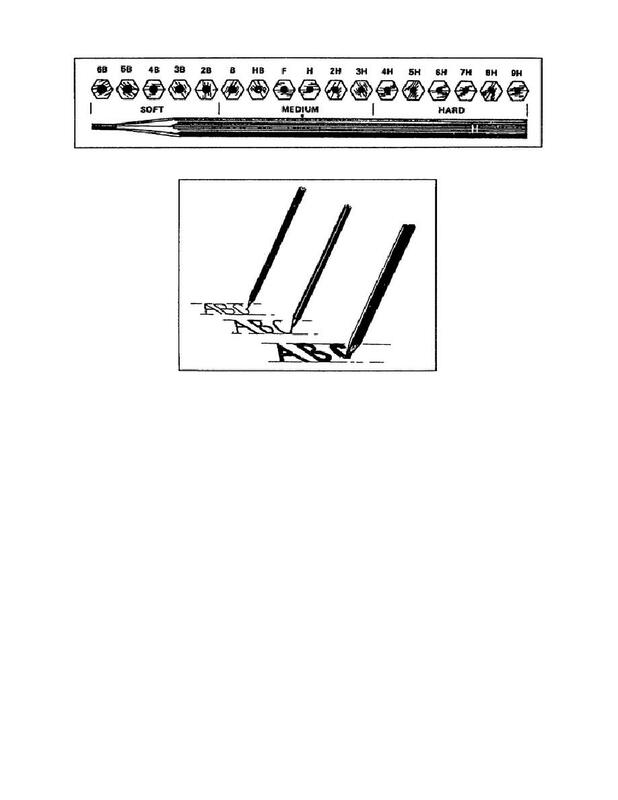 Home > Communication Systems Reference and Training Manuals > > How to use the pencil. Guidelines for pen and ink lettering. lettering, such as text, Roman, or some script (figure 1-62). curved lines with a steady, even finger movement. but not so heavy as to cut or leave grooves in the paper. authors hand lettered all books using a broad, flat pen.